Priya Kumar is the author of several books including “I Am Another You” which won the Eric Hoffer International Book Award, USA in 2014 and “Dream Dare Deliver” which was the Most Popular Book of 2015 on Amazon. She is India’s first certified Woman Firewalk Instructor. The story revolves around Arjun, a corporate executive, who is in the midst of a painful divorce and has lost all sense of direction in life. Everything that he worked for, for so long, is falling apart. This is when he undertakes a sudden, unplanned, spur of the moment, spiritual voyage up to Hemkund Sahib in the Himalayas on the persistence of a Sadhu. The porter Chandu, who helps Arjun with the donkeys and the arduous expedition up the mountains, becomes an integral part of Arjun’s story. The mountain is a central character in the book. And when Chandu says, “These mountains look still, but they are not. They are alive, they speak, they share your soul. They break all your connections with the material world and challenge you to make a higher spiritual one,” you know there is a lot of truth in it. But, at certain points in the book, the same imagery turns out to be a minus for a reader like me, completely unfamiliar as I am with the Himalayan landscape. I found it difficult to recreate the scenes from the book in my mind. So for the most part, I was struggling very hard to visualize the entire journey undertaken by the protagonist – the snow covered mountains, the sliding land chunks, the earthquake, the caves, the streams and the valley. If you get past this hurdle, the book speaks to you just like the mountain spoke to Arjun. It calls out to you and touches your heart but only if your heart has ever bled before. 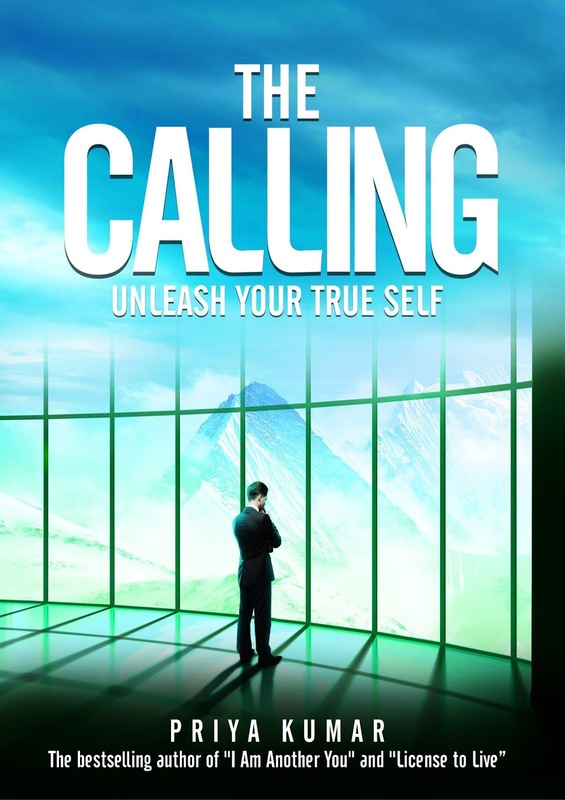 If you are someone who has had the deepest black hole, the toughest times in your life and lived to tell the tale, The Calling will resonate with you. Otherwise, you will just question why you picked up the book in the first place and might need a real push to complete the reading. There are many places where profound philosophical ideas are brought in. But at all times the insertion seems natural and simple. The wisdom and understanding of life is presented in simple words. Take, for instance, when you read the line, “When one nears spiritual compassion, people see divinity.” You get the underlying message immediately because the setting and the characters who speak these words are real, you can relate to them. A man lost in his labyrinth of mistakes and on a journey through the Himalayas in search of his purpose in life is a concept we are all too familiar with. The way this lone man, faced with three near-death experiences during the journey, is used to bring out insightful thoughts on the meaning of life is the positive aspect of the narrative. The book could have been a drag but it is not for the weary soul. The words comfort and console and push you to get up, get going, be aware of your own inner self and your surroundings, to feel every emotion without trying to over-rule one with the other and respond to them with utmost sincerity. The book has a happy ending, with the protagonist acknowledging the mistakes he committed in the past and resolving to undo the damages done. Once he becomes self-aware, the people in his life move closer. If you have ever been weighed down by life’s struggles and felt completely lost and worthless, read the book to find some succor. Nice one. We will try to read it. The book sounds intriguing! Good job on your first review, by the way! I want to read "Dream Dare Deliver" - I love biographies and this book has got many great reviews on Amazon. Thanks for mentioning about that book here. this is the first book i have read of Priya Kumar's. As usual, I am impressed by the cover. Good that the book has a happy ending. I have read Priya Kumar's "I am another you"which is autobiographical in the sense she has related her own spiritual journey. It is interesting that she now embarks to convey similar spiritual insights through fiction... Thanks for sharing.